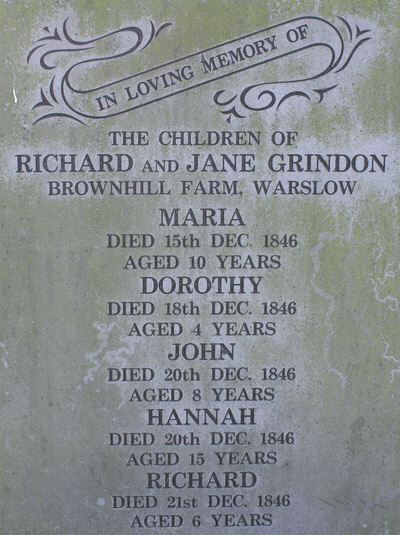 The project started off in October 2008 with the two of us concentrating on recording the graves of people who reached the age of at least 100 years. 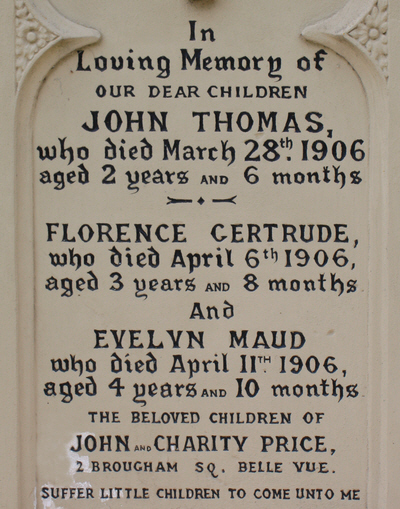 We soon discovered that we were finding other memorials that were of particular interest or rarity and we decided that these too deserved to be recorded for posterity. One of the great joys of the work is that you never know what you are going to find when you walk through the gate. I still get a buzz of excitement when we arrive at a new venue and Claire turns left and I turn right. We have a strange tradition that we go "beep, beep, beep" when we find a grave of interest - providing of course the other person is in ear-shot! About a third of the time we don't find anything worth recording. 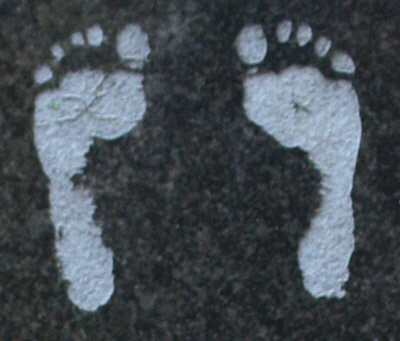 This usually happens when there are only a handful of memorials in the churchyard. 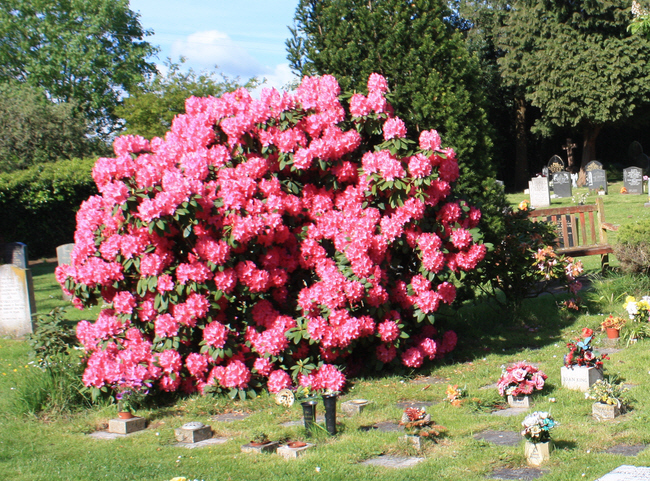 By far the largest site where we didn't find anybody who reached the age of 100 was Shire Lodge Cemetery in Corby. Sometimes we are left puzzled, almost annoyed, by inscriptions that lack important details. 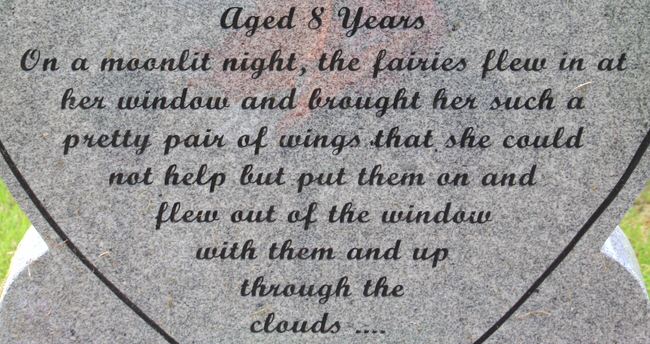 It is not unknown for the surname of the deceased to not appear on the memorial and I well recall one stone that didn't included any of the names of the deceased just "Mum and Dad"! 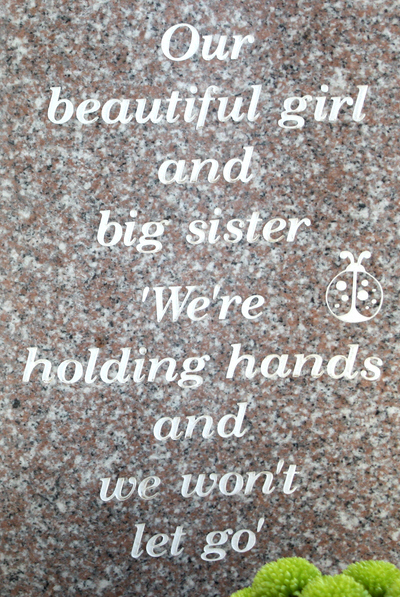 Almost as strange are the patterned stones with gold inscriptions that are unreadable within a very few years of being erected. You might think that once we had examined millions of graves we would be immune to getting the proverbial "lump in the throat". This is absolutely not the case. 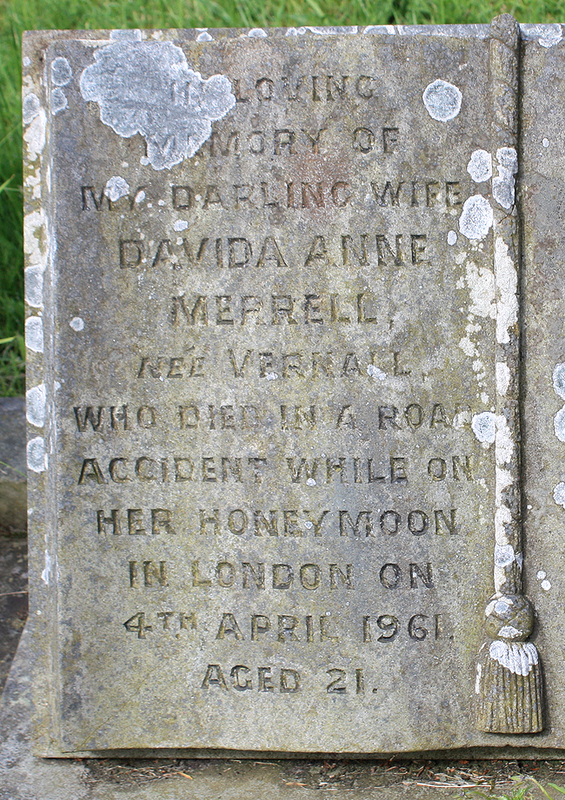 It is not always the graves of babies that have a strongest emotional impact, for me it was grave of the young newly-wed Davida Anne Merrell who died in a road accident while on her honeymoon that was the saddest of them all. Daphne Joan Stokes and Peter William Stokes were killed during an unauthorised flight at RAF High Ercall in August 1943. Their young son, also called Peter, was brought up by his maternal grandmother in Hove, who forever mourned the loss of her beautiful daughter. This page was last updated on June 17th 2017.